Situated between Walsall and Aldridge centres where shopping and banking facilities are readily available this well presented four bedroom detached house must be viewed to be fully appreciated. With the added benefit of off road parking, double glazing and gas fired centrally heated property in brief comprises: storm porch, reception hall, guest w.c, lounge/dining Room, kitchen, four bedrooms, shower room, garage, driveway for several vehicles and rear garden. Viewing recommended. Situated between Walsall and Aldridge centres where shopping and banking facilities are readily available this well presented four bedroom detached must be viewed to be fully appreciated. 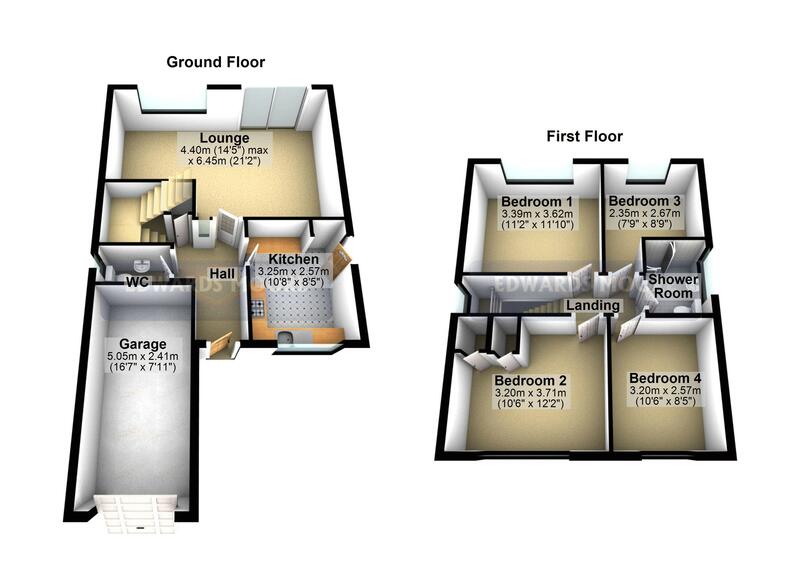 With the added benefit of off road parking, double glazing and gas fired centrally heated property in brief comprises: storm porch, reception hall, guest w.c, lounge/dining Room, kitchen, four bedrooms, shower room, garage, driveway for several vehicles and rear garden. Viewing recommended. 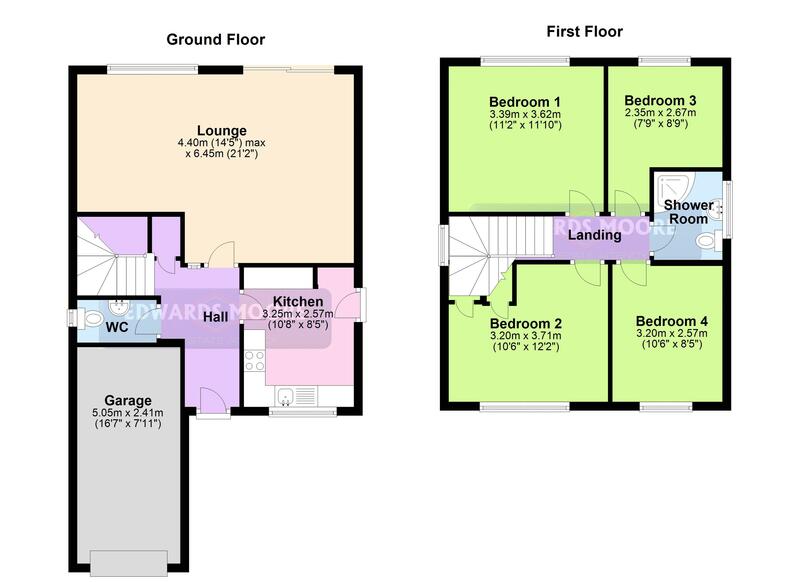 Having stairs off to first floor landing, under stair storage cupboard, radiator, ceiling light point and doors leading off to. Having low flush WC, wash hand basin with tiling to splash back, ceiling light point and double glazed window to rear. Having a sliding double glazed patio door to rear, double glazed window to rear, feature fireplace with fitted gas fire, ceiling coving, and two wall light points. Having a range of wall and base cupboard units, double oven, electric hob with extractor, stainless steel sink with single drainer, plumbing for washing machine, radiator, breakfast serving hatch, recessed area for fridge and door leading to garden. Having a double glazed window to side elevation, loft hatch and doors leading off to. Having a range of fitted wardrobes with blanket cupboards overhead, double glazed and window to rear. Having a double glazed window to fore, radiator, ceiling light point and boiler cupboard. Having shower cubicle with shower, fully tiled walls, double glazed window to side, vanity wash hand basin, heated chrome towel rail and ceiling light point. The property is approached via a driveway offering parking for several vehicles with access to garage side entrance gate lawn. To the rear of the property is a paved patio area lawn and boundary fencing.